religion is a great business ......... .this is why it flourishes in America !!!!!!!!!!!!!! Televangelists and television preachers have the ability to become hugely successful and influential individuals, but some have lost their way while on the road to fame and fortune. Many of the most prominent figures in the industry have fallen from grace and have been outed as the biggest hypocrites imaginable. Read on to find out some of the most scandalous stories about these famed preachers. 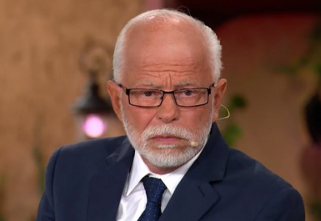 Jim Bakker was one of the most prominent evangelist preachers of his day, serving as one of the members of Jerry Falwells’ Moral Majority and co-hosting the PTL Club with his wife at the prime of his career. However, his crystal clear image shattered when allegations were brought on against him for paying off a former church employee named Jessica Hahn after she claimed that he forced himself on her. Additionally, it was found that he was pocketing large sums of money from donations that was donated by followers.